In any conversation about vaping product manufacturers with legitimate claims to fame, Aspire would have to appear near the top of the list. What’s so special about Aspire? 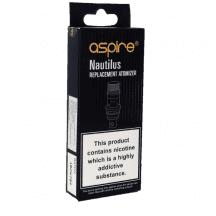 For one, the legendary Aspire Nautilus is still thought by many to be the best tank ever made for mouth-to-lung vaping. 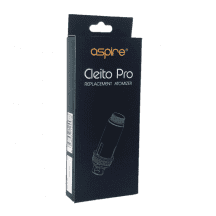 If you need more, look no further than the Aspire Cleito. 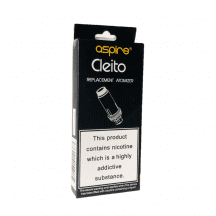 The Cleito became one of the industry’s most renowned tanks after its release because it was the first vaping tank to eliminate the traditional separate chimney and instead make the chimney part of the coil itself. Making the coil itself the entire vapor path was a huge boost to the flavor quality and vapor production of the Cleito, and the majority of today’s vaping tanks copy that design. 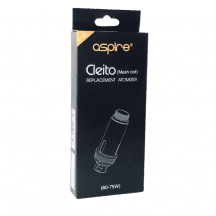 The Aspire Cleito remains one of the most widely used tanks in the vaping industry. 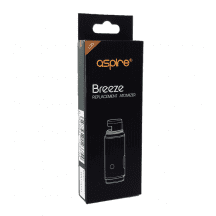 We’re big Aspire fans here, and you should be too! 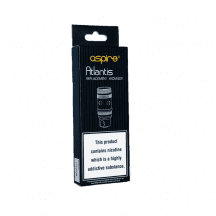 You’re looking for the best online price for Aspire vaping coils, and you’ve found it right here. 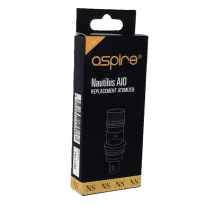 We’re happy to ship all orders of any size for free, and we guarantee that you’re buying a 100 percent authentic product with a working verification code, direct from Aspire’s overseas manufacturing facilities.